We make our cheeses through an almost completely automatic process that allows us to protect and ensure their characteristic flavour since 1929. 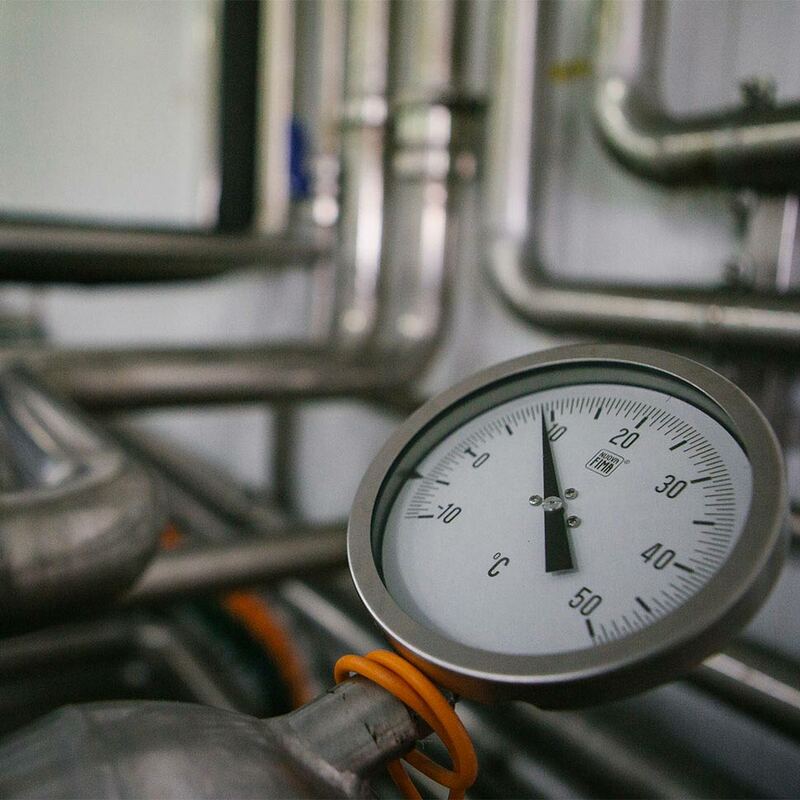 The production process begins with the automatic reception of the milk, which is transported in tankers below 10ºC. This reception follows a weekly schedule that forecasts the factory’s supply and distribution needs. Once in the tank the temperature will drop to a maximum of 6ºC. The milk storage conditions and process are monitored daily. Our experience makes us aware that every single detail will affect the quality of our cheeses. Depending on the thermal treatment the milk undergoes we can produce cheese with raw or pasteurized milk. 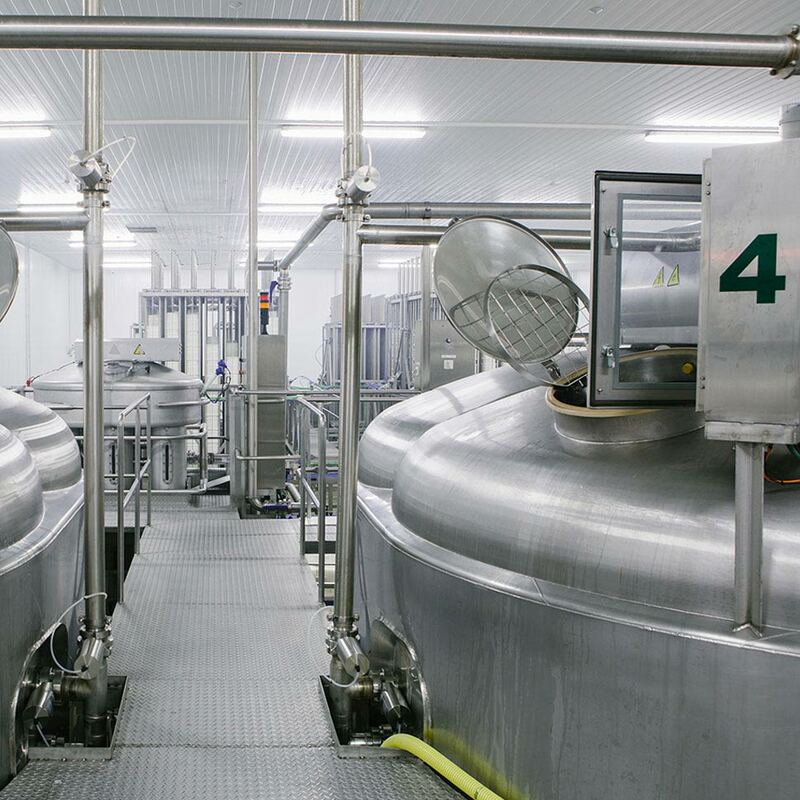 The pasteurization process is considered critical in the dairy industry. We add a special treatment to it to eliminate all pathogens present without changing the flavour. Our factories are equipped with four curdling tanks all of which are automatically operated thanks to the memory preset for all of our varieties. 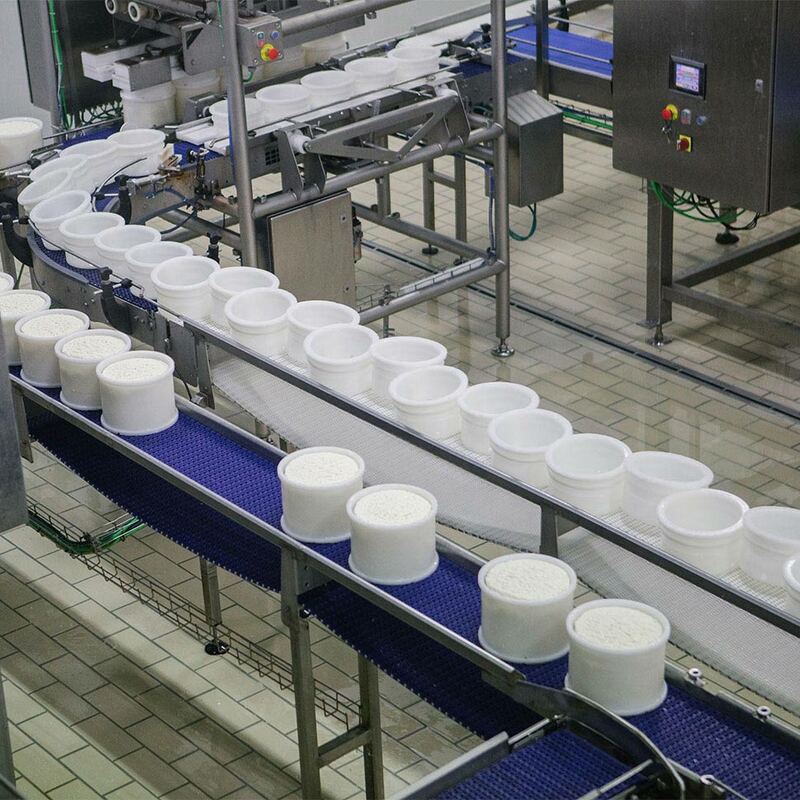 This process is carefully supervised by our cheese making masters. By the end of the process the curdle and the milk serum are separated and this serum gets concentrated in consecutive rounds using centrifugal skimmer and reverse osmosis. The mold filling process is executed by two filling machines. After that, all curdle containing molds get a lid and are driven to the presses by conveyor belts. Our six presses work using a brand new innovative rotation system. 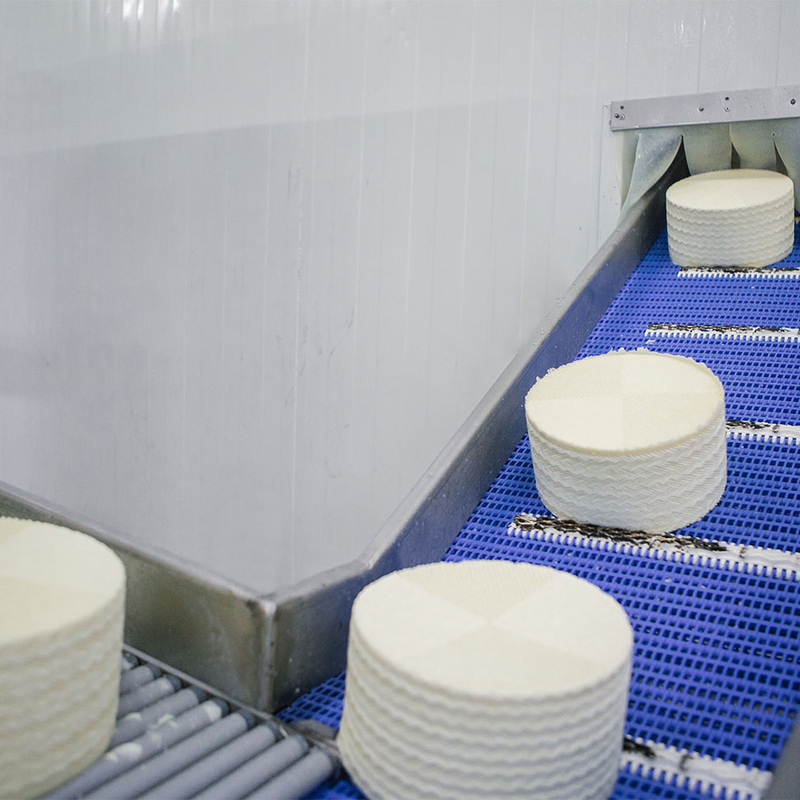 During the time the cheeses stay in the presses the compaction process takes place, and it results in the remaining serum extraction. This allows us to confer the desired shape, texture and consistence to our products. After a succession of automatic unmolding systems the cheese is transferred to the brine that will salt them via immersion. Once extracted from the brine bath and after strain period the cheeses are taken to the dryers first, and to the maturing chambers afterwards. They will stay in those chambers the right amount of time needed to achieve the desired maturing point. In both the drying and the maturing process the conditions are 100% controlled since they are key for the product’s smell, taste and texture. Finally, once the maturing process is considered finished and the cheese is ready for consumption it goes through the painting, cutting, packaging, labeling and boxing processes following our clients’ specifications. Throughout the whole steps of the production process a sample is separated and kept for strict sanitary, hygiene, smell and taste analysis set by our quality standards.